A fruit cake that only a farm can make with a plenty of fresh fruits. As we use fresh fruit, the fruits change according to the season. We accept orders for cakes for celebration purposes. Homemade gelato with Minakami’s fresh milk and seasonal fresh fruits. 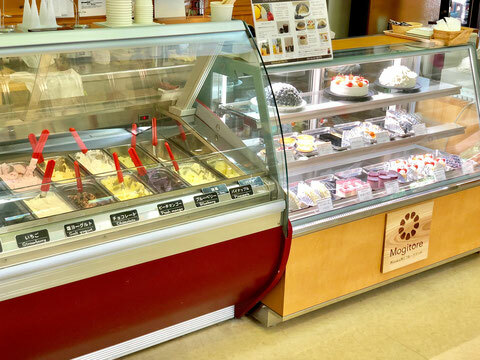 We make the best gelato for the season out of more than 50 recipes. We ship it nationwide. 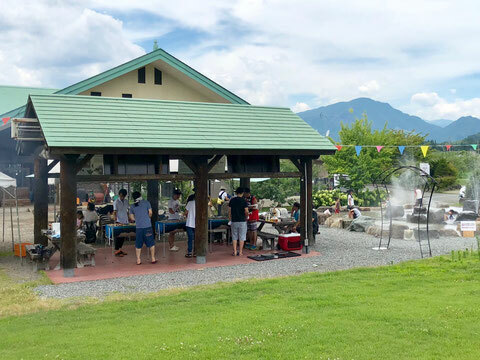 Hot-plate barbecue with Gunma’s soft Japanese pork and the locally grown vegetables of Minakami. Enjoy this in our calm great nature. Try our affordable set menus to enjoy both fruit picking and meals. The prices differ for different fruits, so please check out our fruit picking page for prices. The barbecue consists of Gunma’s soft Japanese pork and rice (Minakami’s Koshihikari). 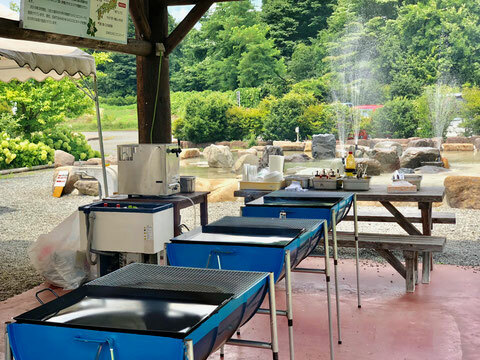 Enjoy fresh fruits, handmade desserts with locally-grown vegetables, and barbecues. Enjoy the taste of the season with your family or friends in with a seasonally-changing view over the fruit farm. 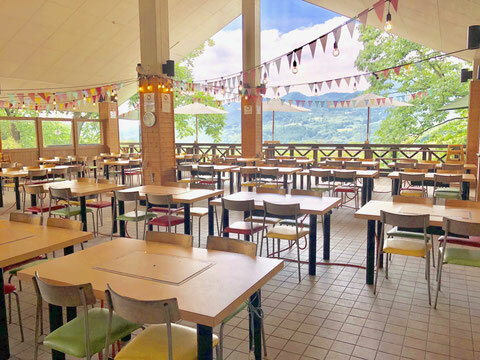 Enjoy a barbecue or a lunch here with a wonderful view over the farm. For large reservations, please call us at 0278-64-2800. Enjoy our seasonal fresh cake and homemade gelato. For cakes for celebration purposes, please call us at 0278-64-2800. 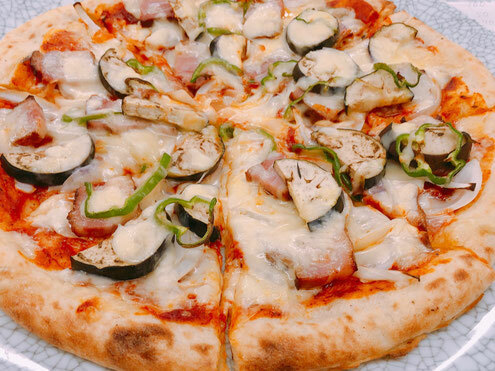 Handmade pizza with various vegetables from Minakami. Enjoy our fresh and crispy orthodox pizza. *The ingredients change according to the season. *Quantities are limited per day and availability is not guaranteed. 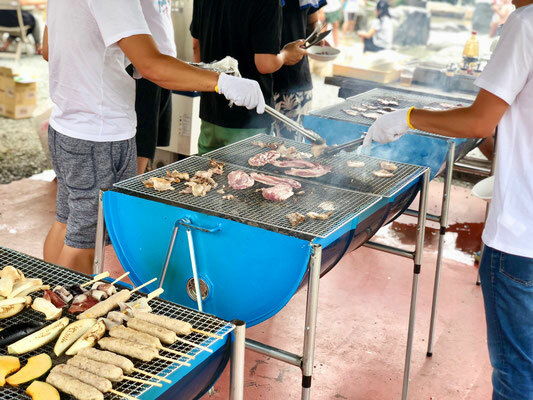 Enjoy a barbecue with various local ingredients in our grass park surrounded by great nature. 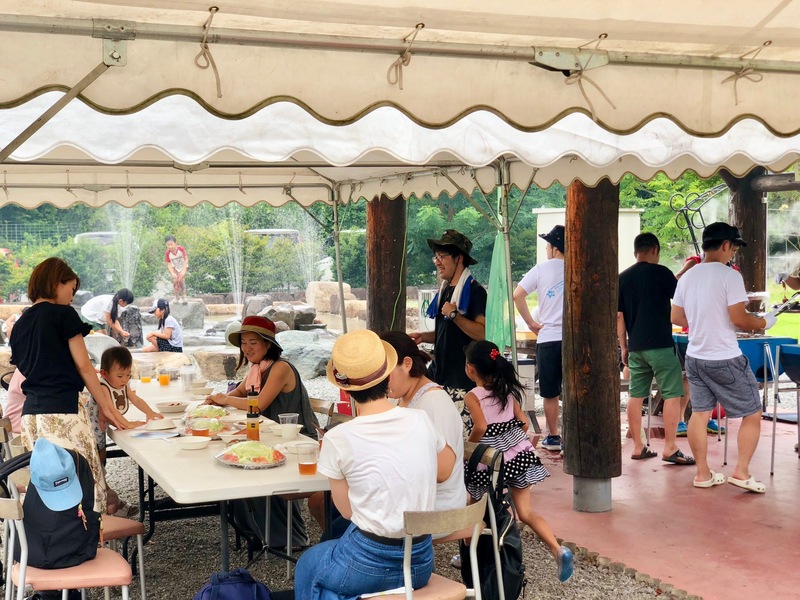 Group size: reservations are for groups of 10 or more. *We can also arrange special courses based on your budget, so please feel free to contact us. Pork ribs / pork loin / beef ribs / beef steak / sausages / chicken meatballs / shiitake with cheese / seasonal vegetables / rice balls / fried noodles, etc. 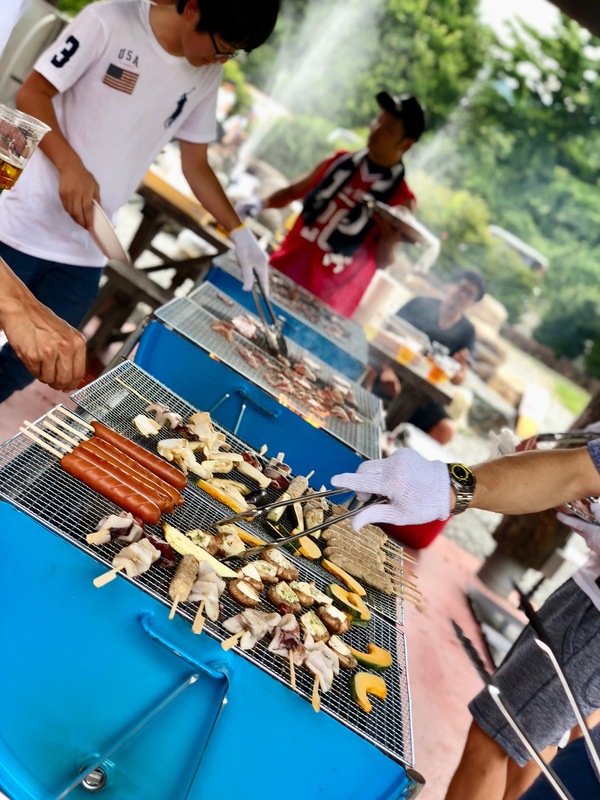 *The menu may change according to the season. *We also provide draft beer servers and other drinks upon your request. Please contact us by phone or through the online form for reservations and inquiries. 15 minutes from Tsukiyono I.C by car. 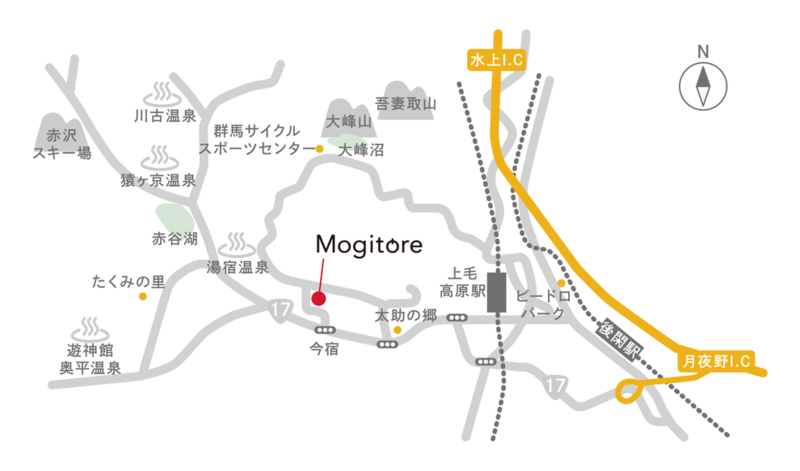 22 minutes from Jomokogen st. by bus.